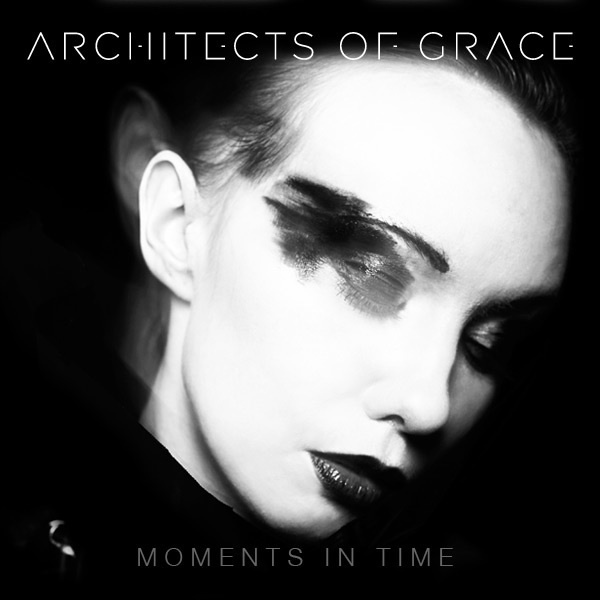 Architects Of Grace‘s debut album, Moments In Time, is available digitally today ahead of the physical release on May 30th 2011. Written and recorded largely by Duncan Robert Illing, it demonstrates strength and substance, a soundtrack to a rollercoaster of experiences. The record also shows a determination to succeed totally independently. Moments In Time is an accomplished debut and demands your ears. While the album is mostly self-produced, Duncan was honoured to work with the legendary producer Dave M Allen(The Cure, Psychedelic Furs, The Chameleons, Sisters Of Mercy) on “Oceans Of The Heart” and “Tonight” and Phil English (Biffy Clyro) on the guitar assault of “Hot White Sun”. These producers can now add Architects Of Grace to their impressive portfolio. Architects Of Grace was born out of a need for Duncan to bring a breadth of ideas, visions and songs to life, and he has spent the majority of 2010 writing and recording this album. He also spent this time building up a collective of like minded friends and musicians to help him bring his material to the masses and is planning to debut Architects of Grace’s live show from May and throughout the summer. The album features the debut single Reflection (released 4th April) and “Oceans Of The Heart”, which was released as a DIY film at the start of the year. Both of these songs have already caused an online storm, appearing on publications such as Alter The Press, This Is Fake DIY and Artrocker.com. You can download “Oceans Of The Heart” for free from the Architects Of Grace official site. Moments In Time is released via Procession Recordings today (11th April). It is available via the Architects Of Grace official site for £8.99. The album is due for a physical CD release on May 30th, 2011. This album is sure to propel Architects Of Grace into position as one of the most innovative acts of the decade. Having already drawn comparison to musical pioneersDavid Bowie and Trent Reznor, today marks the start of a long and promising future. Jägermeister to host gig in the coldest place in the UK!